Mickey Mutineers: For those about to snack, I salute you! For those of us who truly love Disney, its not just about the rides, although they're pretty amazing. It's about all of the other stuff you can see and do, and enjoy on your way to the rides. You've heard me say it before, and I'm saying it again...there is so much more to Disneyland than people think. As soon as you get up to the front gates and see Mickey's gigantic face in a bed of flowers, you know you're in for a surprise. Looking past that and directly up, you can see the train station, and beyond that, you have to walk through a tunnel of magic to see the rest. As soon as you venture past the tunnel, you get your first sight of Main Street USA! Not only does it have some pretty incredible shops to explore, they have a candy store that's not anything less than amazing! I don't know where they find those candy apples, but they're as big as your head! 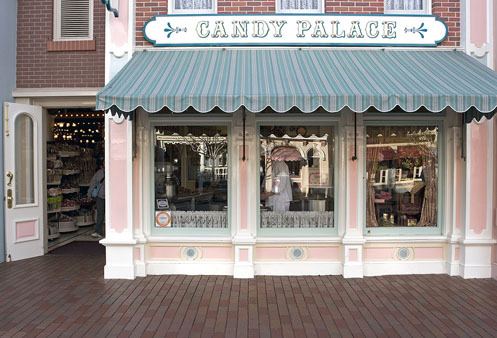 The Candy Palace is the best place to get your snack on if you're feeling like a sweet delectable treat. A ton of the candy inside the shop is home made, right in front of you. I remember walking in one time and watching the taffy machine knead the taffy round and round, and then I had to wipe the drool off of my face...and then the floor. I wanted that taffy to just wrap me up and give me a big taffy hug! That's not weird! It would have been if I said that I wanted it to give me a taffy hug, and then said "it's sticky with my clothes off!" That's weird, but I didn't say that, so we're good. The chocolate is amazing, the caramel corn is amazing, but my favorite is still the candy apples. If those don't entice you to get inside the shop, the smell definitely will. 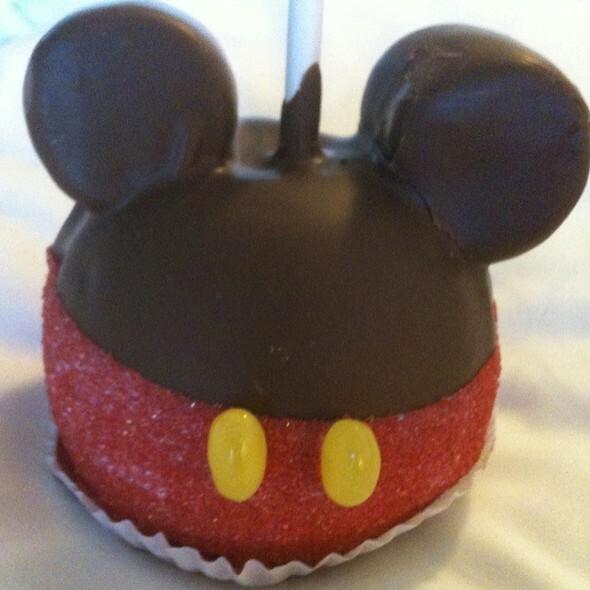 One of the many various styles of Disneyland's candy apples. The splendid odor will grab you by the face and push it right into its bosom of deliciousness, and then smack you around a little bit. It's intoxicating is what it is. Oh man, for those about to snack, I salute you! 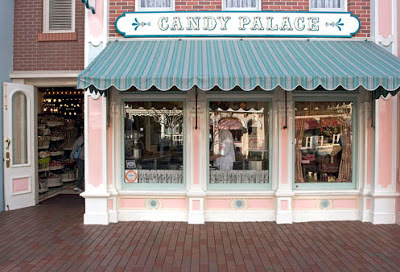 Go get your snack on at the Candy Palace! Its almost as fun as Big Thunder Mountain, but twice as tasty!